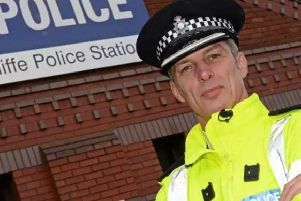 The police have thanked Doncaster residents for giving them information which led to the arrest of two men. Police officers stopped a silver Peugeot on the St James estate, in the town centre, yesterday after receiving information from the public which suggested that the the people in the vehicle had recently been seen dealing drugs and the car was associated with known drug dealers. The vehicle was stopped and two men were arrested. The driver was wanted for a recent theft, the passenger was searched and a quantity of drugs were found in his possession and the car was seized. Andrew Grix, Doncaster Central neighbourhood PCSO, said: "This was only successful due to local intelligence from concerned residents and local officers. "If you have any information regarding any other issues on the estate, please contact South Yorkshire Police on 101 or speak with staff at the office anonymously."